Planting a mid-summer vegetable garden is an excellent way to increase and extend your garden’s harvest! Cucumbers are the perfect plant for a 2nd crop! Perhaps your spring-planted garden got away from you this year. Or, maybe life was simply too busy to get one planted at all. Well, no worries, it’s not too late! Planting a mid-summer vegetable garden is an excellent way to have a 2nd chance at fresh veggies this year! Starting a second round of crops in the summer actually has some built-in advantages over spring-time gardening. For one, it’s much warmer outside. That means you are much less likely to battle huge swings in temperatures and the overabundance of rainfall that can occur in early spring. Secondly, the warmer soil temperatures are ideal for sprouting seeds. This speeds up both germination and growth rates. There is also one other big advantage. Many of the early season issues of pests and disease that thrive in the wet, cooler temps of early spring become less of an issue during the summer. But best of all, you can still be eating your own, home-grown fresh veggies in late fall. Long after most everyone else’s garden has thrown in the towel! There are a lot of great vegetable crops that can be planted mid-summer for a 2nd fall harvest. With that said, there are 2 crops you want to avoid – tomatoes and peppers. Almost all varieties of both take 60 to 80 days or more to mature and fruit. That simply doesn’t leave enough time in the year in most parts to work. They also need the hottest part of summer to help ripen their crop. Fall’s cooler temperatures simply aren’t conducive for good growth and ripening. So enough about what we can’t grow. Let’s take a look at some of our favorite summer garden vegetables you can plant! Green Onions – If you love the taste of green onions, now is an excellent time to replant. In addition, they are an excellent fall crop to harvest for soups, salads, or eating right from the garden! 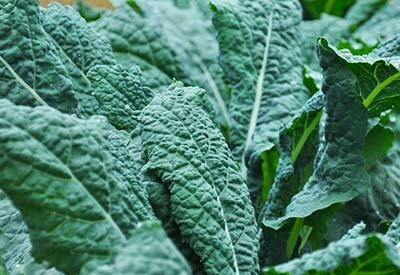 Lettuce / Kale / Greens – Greens like lettuce, kale, and spinach have super-fast germination to harvest times. Many varieties can be harvested in as little as 25 to 30 days after planting. Sow a few rows of seed now, and again every 3 weeks through August. You can have fresh salads all fall long! Herbs – Many annual herbs can be sown and grown again in mid-summer for a wonderful fall harvest. Basil germinates quickly and is a fast grower. Cilantro, another kitchen favorite, can be grown and harvested in just 35 to 40 days. And don’t just stop with annual herbs. If you want to expand your home-grown herb selection, mid summer is the perfect time. Thyme, Oregano and Chives can all be safely planted or transplanted mid-summer. The herbs have plenty of time to adjust and put down permanent roots before winter. 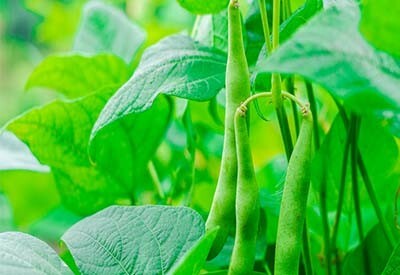 Peas – If you love sugar snap peas – then by all means plant another round! By planting in the next few weeks, sugar snap peas will be ready to flower and produce in the cooler temps of fall that they love. Radishes – Radishes grow fast! In fact, many varieties can go from seed to plate in under a month! For a constant supply late into fall, plant a row or two ever 3 weeks until the end of August. Radishes are one crop that needs to have water to grow well. If your summertime is dry, be sure to water regularly. Happy Summer Gardening – Jim and Mary! If you would like to receive our DIY, Gardening and Recipe articles each week, you can sign up via email at the very bottom of this post. You can also like and follow us on Facebook, Twitter or Instagram to receive all of our latest tips and articles. This article may contain affiliate links. ← Homemade Pickling Spice – Never Buy It Again! Sure good timing with this article. Thanks!